Mahmood’s work spoke back powerfully to the politics of categories and the liberal grandstanding on women’s rights. In the aftermath of the 9/11 terror attack, George W. Bush, the then president of the US, spoke to Muslims ‘directly’. He reminded them that the teachings of Islam were ‘good’ and ‘peaceful’ and that those who committed terror in the name of God ‘blasphemed’. In the years following 9/11, sections of the Western media and state agencies in Western Europe and the US became obsessed with ‘extremist’ forms of Islam. While a brutal ‘war on terror’ ensued, informed by a putative clash of civilisations, an ideological warfare against ‘extremism’ penetrated the corridors of academia. In 2005, in an introduction to a special issue of Modern Asian Studies, renowned anthropologists Caroline and Filippo Osella observed that academics were under increasing pressure from state agencies and funding bodies to ‘spy’ on their Muslim students, include critiques of ‘radical’ Islam in Islamic studies curricula, and ‘produce’ research that would only endorse this sloppy, spurious categorisation. The image of the ‘aggrieved’ Muslim woman emerged as potent ammunition for this ideological war. Women’s rights – as understood by liberal feminists – became the litmus test that variants of Islam had to take for them to be classified by the media and government agencies in terms of sloppy, intellectually lazy categories of ‘radical’, ‘moderate’ or ‘liberal’. The eagerness to preserve and institute a framework of human rights based on individual autonomy has legitimated much of US military intervention in the Middle East. In this narrative of preserving human rights, the Muslim woman always figures as a passive victim of institutionalised patriarchy that is deemed a marker of religion and culture. The eagerness of humanitarian intervention for saving the Muslim woman came in the backdrop of ongoing debates among feminists in Western Europe and the US about the moral worth of multiculturalism vis-à-vis the unequal treatment of women by certain cultures and religions. This debate, inaugurated by Susan Moller Okin’s influential work titled ‘Is multiculturalism bad for women’, did little to unpack the strategic foreign policy imperatives of framing certain cultures as backward. The work of the anthropologist Saba Mahmood, who passed away on March 10, spoke back powerfully to this politics of categories and the liberal grandstanding on women’s rights. In an atmosphere where popular images of aggrieved women in the ‘Muslim world’, such as the Time magazine cover depicting a girl in Afghanistan with her nose cut off, inundated the Western media, Mahmood’s scholarship talked back to liberalism. Mahmood’s body of work carries the unmistakable imprint of someone who refused to participate in this post-9/11 project of depicting the ‘good’ Muslim. In an intellectual atmosphere where any critique of the West and Western liberalism – the supposed torchbearers of liberalism in this ‘clash’ of civilisations – was dubbed ‘radical’, Mahmood boldly revealed the inadequacy of the liberal notions of freedom, agency and rights for understanding complex life-worlds of religious subjects. The most significant contribution of Mahmood’s work is perhaps her careful critique of a notion of rights based on individual autonomy and freedom. Critical transformations in societies and polities happen even when the agents of such transformations do not self-consciously and avowedly aspire for ‘rights’ and ‘freedom’ in a liberal sense. Such transformations are not devoid of ethical commitments on the part of the actors involved. This is the message that echoes through much of Mahmood’s work. In fact, as Duncan Bell had demonstrated in an influential essay, freedom of the autonomous individual as a core, well-defined identity of liberalism itself becomes ascendant only in the mid-20th century. Hence, Mahmood, by her own admission in the preface to her first book, was not interested in making her informants and their views on religion and gender ‘palatable’ to liberal sensibilities. 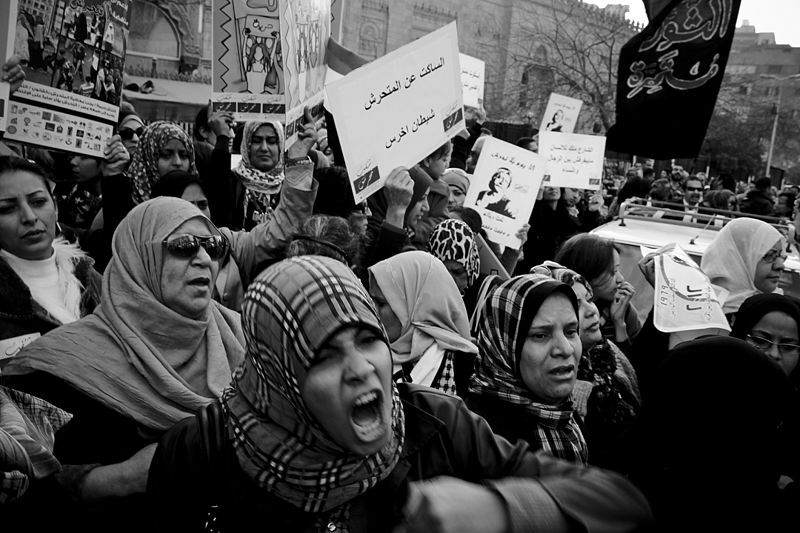 Mahmood’s influential first book Politics of Piety drew upon participant observation among pious Muslim women who were part of an Islamic revivalist movement in Cairo in the 1990s. This movement was different from political Islamist movements that sought to occupy state power. Mahmood’s interlocutors, popularly called daiyat, were invested in cultivating an ethic of duty, moral agency and self-fashioning among Muslim women in accordance with the message of the Quran and the Sunnat (examples set by the life of the Prophet). Apart from external markers of piety, the daiyat stressed the importance of social welfare and care for the poor. This work traced the changing configurations of gender and power in religious spaces. However, these changes were prompted entirely by ethical, moral action guided by religious texts and not based on liberal notions of freedom and agency of an autonomous individual. Mahmood’s rich ethnography powerfully illustrated how ethics rather than rights could inform political transformation beyond the structures of the state and civil society. The mosque movement witnessed an unprecedented participation of women in the hitherto male-dominated space of the mosque. However, the desire to participate in these spaces was not informed by ideas of freedom, autonomy, or equality. Hajjah Faizah, a woman preacher we encounter in Mahmood’s book, made a powerful argument justifying women’s presence in the mosques based on Quranic exegetical traditions and positions in Islamic legal traditions rather than a liberal notion of ‘rights’. It is significant that Mahmood came to this project from a career of Left-liberal activism in the 1970s in Pakistan. Hailing from a country where the project of ‘Islamisation’ in the 1970s was consolidated by a military dictator actively propped up by neo-imperialist designs of US foreign policy, Mahmood was aware of the complicated set of forces that led to ‘Islamisation’. The adverse effects of the Islamisation of the polity on gender justice in Pakistan made it difficult to envisage notions of women’s agency vis-à-vis religion. In the preface to this influential book, she admitted to approaching her subjects with a set of preconceptions about women in religious movements that proved wrong once she explored their own conceptions of their agency vis-à-vis religion. 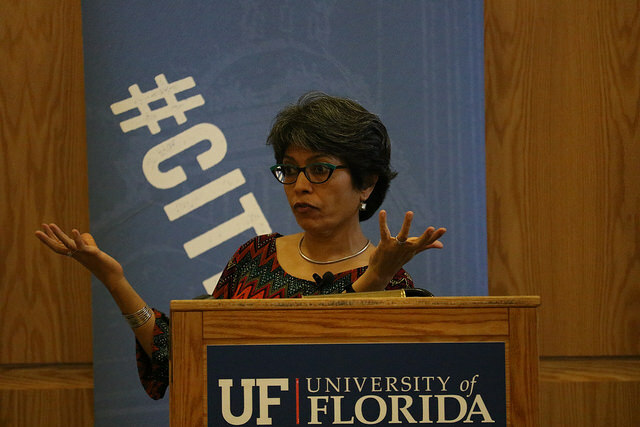 Her recent book, Minority Report: Religious Difference in a Secular Age, questioned conventional assumptions about religious strife and minority rights in the Middle East as a failure of secularism. Building up on Talal Asad’s influential work, Mahmood understood secularism in terms of the modern state’s unprecedented involvement in defining and regulating religion rather than a separation between the Church and the state or respect towards religions. The emergence of the minority and the discourse of minority ‘rights’ is intimately linked to a range of discursive apparatuses that the state uses to understand, regulate, and further entrench religious ‘difference’. Her careful delineation of how the minority as a register of belonging came into being following the breakup of the Ottoman empire and was closely tied to a geopolitics of neo-imperial ambitions complicated the assumption that minority rights was a benign gift of secularism. Along with an array of anthropologists such as Lila Abu-Lughod, Lara Deeb and Maimuna Huq, Mahmood’s work presented a powerful counter to images of the Muslim woman as a victim to her culture and religion. This image was propelled by a global rise of Islamophobia post 9/11, and the collective, and in some instances willful, amnesia of public imagination in the West about its own unsavoury and not-so-distant past with respect to race and gender. Mahmood’s work can prove to be an important entry point into thinking about what exactly constitutes the freedom and agency with respect to gender that the West seems to valorise. I recount using examples from Mahmood’s Politics of Piety in a summer school for 18-year-olds at Cambridge. In a politics seminar on agency, freedom, and liberalism, we discussed the pervasive nature of beauty regimes and the persistent body-shaming of women and men in the West which proved to be a source of immense social coercion for women. In the seminar, we contrasted the ostensible lack of ‘freedom’ of Mahmood’s informants with the ‘freedoms’ of women in the West. This reflective exercise helped in understanding the limits of thinking about freedom merely as autonomy. In India, the figure of the aggrieved Muslim woman has been at the heart of the debate on minority cultural rights and the rights of women in the institutions of family and marriage. In the 1980s, the debate pitted secular liberal feminists who saw religion and religious laws as inimical to gender justice against proponents of cultural autonomy. But where is the voice of the Muslim woman in all of this? The last decade has seen an unprecedented involvement of Muslim women’s organisations, such as the Bharatiya Muslim Mahila Andolan, All India Muslim Women’s Personal Law Board, in debating Muslim law reform and the running of alternative fora for delivering justice. Mahmood’s work helps us think of questions that we might ask of these movements. It is important to bear in mind that women activists of these movements foreground their religious identity as Muslims. While media attention has excessively focused on the contentious issue of triple talaq, these movements are also invested heavily in exegetical analyses of the Quran to foreground their ideas of justice. How do they use ethical notions of duty, care, and justice in the Quran to frame their claims? How are such claims expressed in a language of liberalism and rights? Contrary to revivalist movements in Egypt that Mahmood studied, the social movements in India have an avowed interest in transforming the state and codified Muslim Personal law. Yet Mahmood’s intellectual endeavour has important lessons for scholarship and reportage on gender justice and the Muslim woman in India. We can avoid sloppy classifications of liberal, progressive versus ‘extremist’ Islam to pay greater attention to how religious women inhabit norms and what notions of personhood they aspire to in abiding by these norms. These might have important lessons to offer to a secular discourse of minority ‘rights’.